Our stay in Prague was truly great. It's a city full of art, history, tourist attractions and wonderful sights. There is a lot to see here, and it can be daunting on a fellow traveler to figure out what to see if he or she has a short amount of time. We only stayed four days in Prague, and it was all about managing to see everything, but also to enjoy ourselves. In our extensive, 5-part travel series to Prague, I pretty much showed everything that we did in the four days that we spent in this amazing city. But I never really spoke about my favorite places that we saw and things that are an absolute must. In this post, which is sort of an extension of the series, I will list my personal Top 10 Things to Do in Prague. If I had to pick one part of the city that impressed me the most, then it is the Prague Castle and the Gardens. You will find hundreds of things worth noticing here and discovering. The history of the city begins with the Castle which was founded in the 9th Century. The buildings enclosed by the Castle walls include a palace, three churches and a monastery. 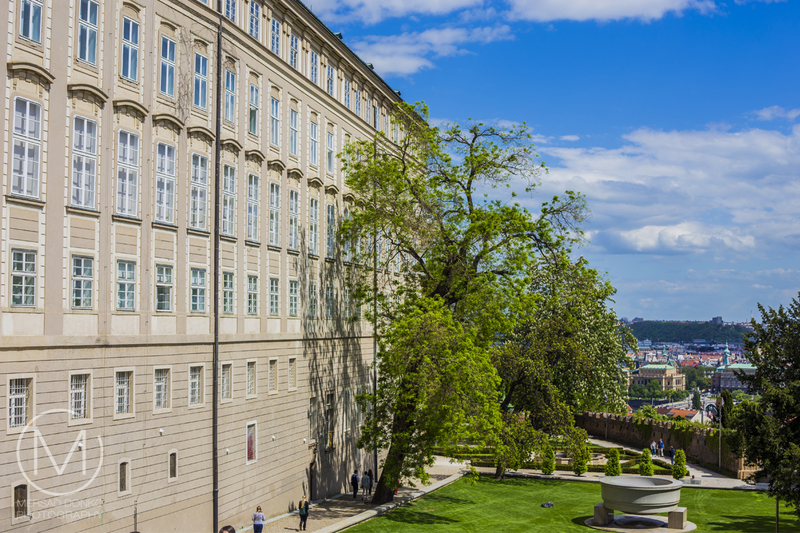 The gardens are beautifully maintained and you will find some great lookout spots onto Prague. The Old Town Square with the Old Town Hall (image above) is the tourist hub of the city. It's the most crowded place but also a part of the city which you can't miss. Don't fall into the obvious tourist traps like the souvenir shops and cafes here. Everything will be overpriced. But make sure to see the Astronomical clock behind the tower and to generally enjoy the surroundings. Get yourself a guidebook or a map that shows you what all those buildings are. The streets and buildings in the Jewish district are pristine and there is so much grand architecture to be seen. One of the most prominent sights here the the old synagogue. 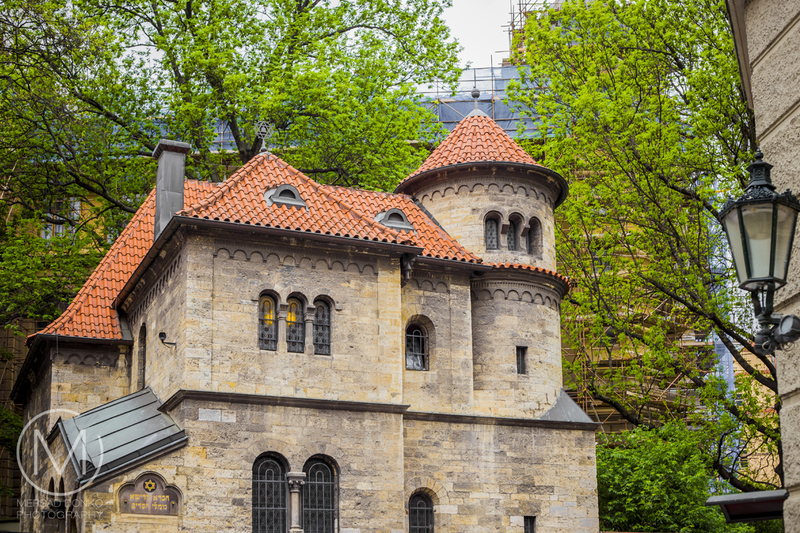 The synagogue was originally called the New or Great Synagogue and later, when newer synagogues were built in the 16th century, it became known as the Old-New Synagogue. The image above does not show the synagogue, but rather a side building next to it. This is a truly calm part of the city and I just had to include it in this list. If you want a resting spot after a whole day of sightseeing, just walk down towards any point of the river Vltava and you will find it. For me personally, the best place to rest was at the east side of the Manus Bridge. You have a great lookout spot there towards the Prague Castle on the other side of the river. Perfect for a photo as well. A list of tourist spots in Prague wouldn't be complete without it: the Charles Bridge is certainly not to be missed. But as with any really popular spot, it will be crowded. And the crowds really do flock here early in the day. You can try to beat them if you come here really early but that won't always help. We were there midday and it was a bit too much for me. I think sunset might be better. 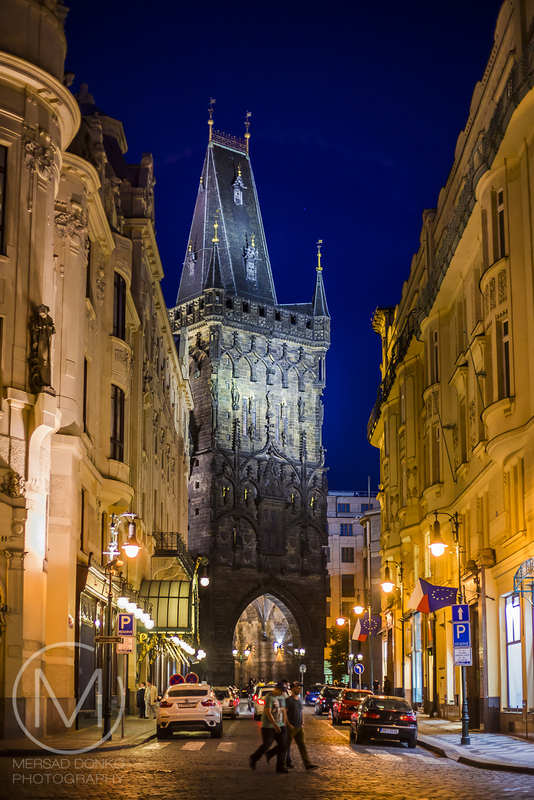 Prague comes to life at night. The old town district, as well as the Jewish quarter are the best places to be in at night. Of course, beer lovers will have a full heart in Prague, as you can get the fresh brewed beverage in many incarnations in any pub or restaurant in the city. We recommend the Dubliner Pub in the Old Town District as well as the James Joice Pub in the Jewish Quarter. 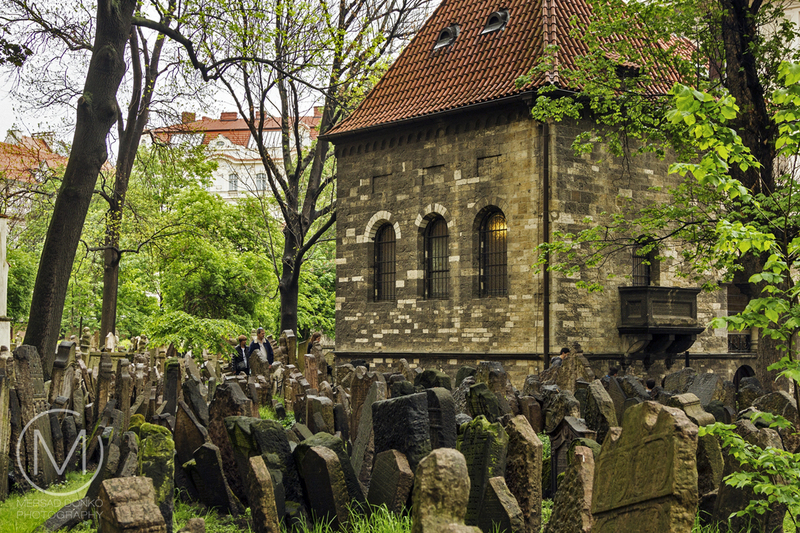 A haunting yet mesmerizing sight of Prague is the Jewish Cemetery. The Jewish community was persecuted at times here, and this a result of one of those times. Jewish people were only allowed to be buried here, and once the place filled up, the bodies were stacked one on top of the other, sometimes having as much as 12 layers. As you walk inside of it, you will definitely feel goosebumps. 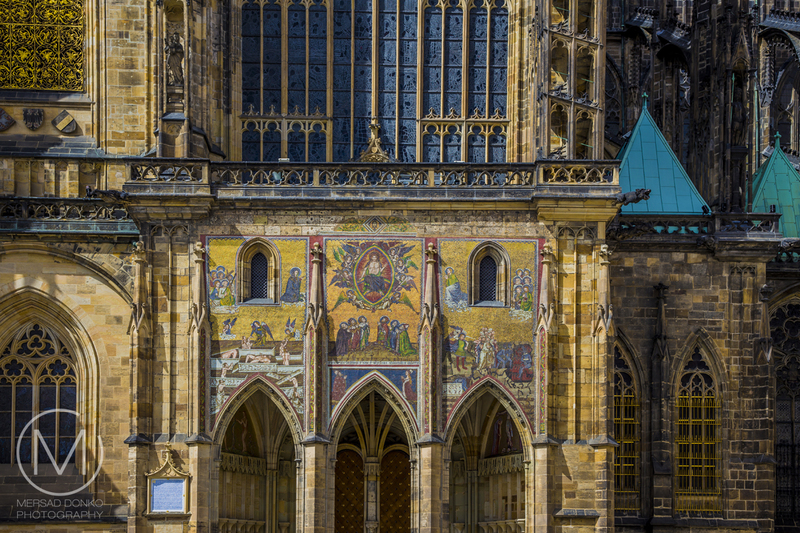 A walk around the St. Vitus Cathedral takes you back through a thousand years of history. From the wonderful Golden Gate to the intricate exterior, you will want to see it. It's located in the Castle district. Next to it you will find the presidential buildings, and the whole surroundings host many interesting objects and streets like the Golden Lane that housed the Castle's guards and gunners (here you will have to pay entrance). We discovered this little park by accident while roaming the streets. The whole park is walled in, and only a small entrance through one of the side streets gives you a complete view of the place. Another resting spot between the Charles Bridge and the Castle District. This seems like an obvious tip, but so much can be discovered in Prague, simply by roaming the streets. Never be held down by the fact that you have to visit certain tourist spots. Allow yourself to wander off and see what else is there. We discovered many things that way, and I wouldn't change it. Take a minute to absorb the beauty of the European capital, sit in a small corner cafe, observe the people, walk of the beaten tourist path. In this city, you will be rewarded for it. What part of the city is speaking to you the most? 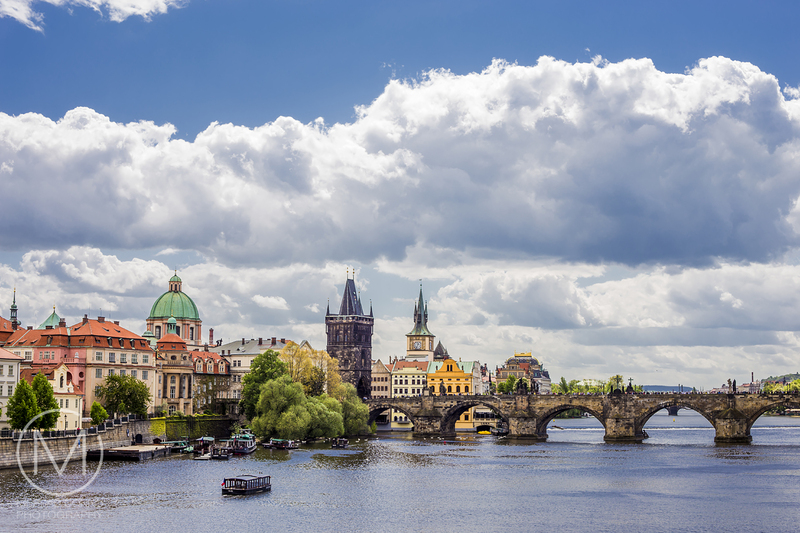 Do you have any suggestions for Prague? Also if you haven't seen it already, I started an all new photo meme on my blog called "Through My Lens". You can still link up throughout this week. The first edition of the meme is up here. Again beautiful photos! Prague is indeed a lovely city. I think I liked the St. Vitus cathedral very much. Prag ist so eine schöne Stadt, wo ich noch nicht war. Deine Nr. 6 ist der Knaller! yes I followed all your posts about Prague and am trying toget a friendto go there for a shot break but she has a dog and finds it hard to leave it!! These photographs are stunning. The Charles Bridge made a perfect photograph. I always wanted to visit Prague but never made it. So sad! It's only a plane ride away if you and Joe can manage. Hello Mersad, thank you for the lovely tour of Prague. I like the square and the river scene, the bride and cathedral. Beautiful images. Have a great day! Wonderful post, Mersad. I spent some time looking through your beautiful images. As always with Prague, I imagine my ancestors walking these streets. Many generations lived here, yet I know so little about. Your tour brought me there, if only for a moment. Thanks, it was highly enjoyable. Thank you Laura. So glad you enjoyed the post and images. Maybe one day you and Bill can come and visit. 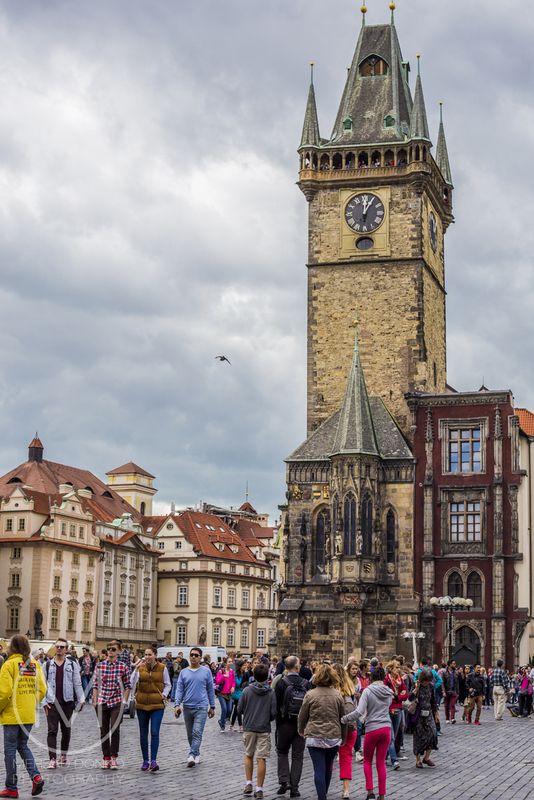 I've bookmarked this entry to add to your previous travel series on Prague because I'm definitely thinking about a trip in the next year or two. Prague has been on my list for some time now. I hope I get there. I think Slovenia is first though. I would love to roam these streets, and I would like to visit that Jewish cemetery, the photo hurts my heart and I know in person would hurt even more. mankind should have been called manunkind. I have good memories of the place. This has revived my memories of the place. A terrific tour of Prague, Mersad!! Your captures are superb as always!! I, too, love your nighttime shots and would love to go there!! Thanks for sharing, as always! Hope your week is going well!! Your photos brought back some wonderful members of my Prague visit last year. I visited all the spots you showed except for the Jewish Cemetery--It was closed when we went on a Saturday. We didn't have another opportunity to go back. Another spot I enjoyed was the Lennon Wall. I so appreciated the creativity of those who want love and peace. I understand it has been painted over since I was there. I am sure a new layer is being added. Thank you for your visit and for your travel tip to the Lennon Wall. I'm not sure on how it looks now though. Wonderful Pictures... But there's just something about a "James Joyce" pub in the Jewish Quarter of Prague that made my head spin around a couple of times. Another great series, Mersad. Wonderful photos - makes me want to go to Prague! The night shots are my favorites! Nikako da uglavim Prag na listu planiranih putovanja, a zaista je kao muzej na otvorenom. Jeste da sinagoge uglavnom nemaju jasno definisan stil arhitekture, ali ova mi je zaista nesvakidašnja. Dopada mi se i jevrejsko groblje. Mnogima to djeluje možda morbidno, ali ja volim neobična, stara groblja, naročito ona sa zanimljivim spomenicima. Posebna pohvala za noćne slike, fantastične su. What a gorgeous city and your photos are spectacular! Great post! I have never been there but it looks beautiful! 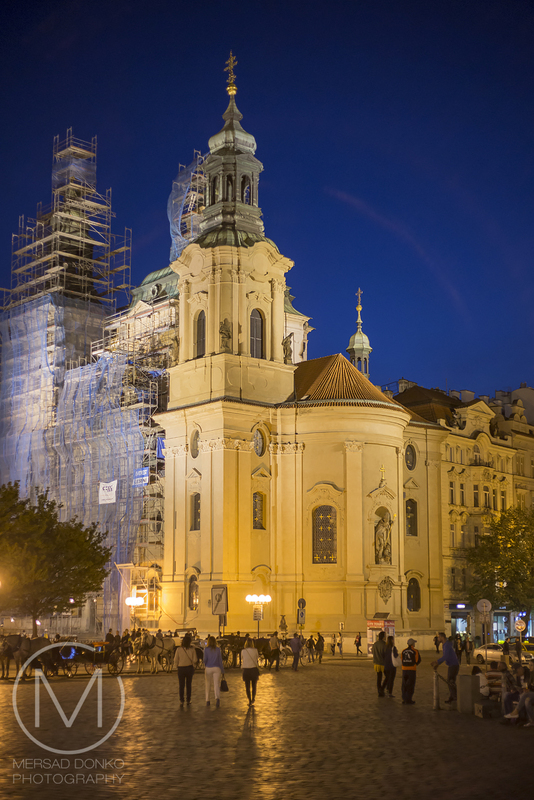 Your photos show off Prague well. They have me wanting to see the city in person. One day I hope to visit Prague. We had to cancel a trip to Prague a few years ago, so it is still on our list. Your photos are wonderful! Thank you for sharing your photos of Prague. I loved seeing the beauty you discovered while there! The Charles Bridge... absolutely beautiful! The clouds, etc., really made me rejoice. Others got my attention, too. Thank you for sharing so wonderfully. Prague is a stunning city and you captured its essence beautifully. I hope I make it to Prague some day. You have made it seem so delightful! What a beautiful city with so much history to see.